It’s another cold evening and instead of curling up with a good book, I am writing about two good books that I have had the pleasure to peruse. We use words to communicate, but one person’s definition may be greatly or ever so slightly different from another’s. And, there may be several meanings for a word. Capturing and documenting the meanings of words and concepts is what drives the creation of dictionaries and encyclopedias. The Ohio team of Pamela Bennett and Maria Zampini offers us a lexicon for the modern gardening world in Garden-pedia. All entries have a concise definition, and most include an expanded explanation of the term or concept. This is the fun part, because here Pam and Maria discuss controversies and variations on a theme. Here is where the book shines. Anyone can write a definition, but it takes years of experience to offer concise, accurate information and advice for the beginner to intermediate gardener. And, that they have in abundance. For instance, there is a lot of discussion over the definitions of the words/concepts: native plant and nativar. They are, respectively: “a plant that occurs naturally in a particular region, ecosystem, or habitat without human intervention” and “a cultivar or hybrid of a native plant”. The definitions seem straightforward, but the “story” behind them isn’t. Nativar is a recently coined word and one that has riled some designers and ecologists who work with native plants. Check out Garden-pedia for the short backstory. The pictures are excellent and add to the overall attractiveness of the book. This isn’t a book you take out of the library once; it’s a book to own. Another beautiful book is Stephen Orr’s The New American Herbal. A common, but unwarranted, complaint about herbs is that they are not beautiful or colorful. This book counters this with artful pictures of herbs and mouthwatering images of herb-filled food. I can’t wait for late spring when my green garlic is up as it is an essential ingredient for the Socca Pancake on page 190. And in summer I will make the Baked Stuffed Tomatoes with Oregano with fresh, sun-warmed heirloom tomatoes. The first sixth of the book covers general topics and specialty herb groups. The rest of the book is plant portraits and recipes. The usual species are covered along with a sampling of herbs that less represented in general herbal books like muitle (Justicia spicigera) from Mexico, ngò om (Limnophila aromatica) from Viet Nam and Indian hemp/marijuana (Cannabis sativa). Each herb is categorized as to its basic uses, safety and growing tips. Other content varies with respect to its history, expanded use information and available cultivars. This book seems to want to be everything herbal. And as much as I enjoyed reading it, I feel that a beginner might be overwhelmed by the amount and organization of the information. 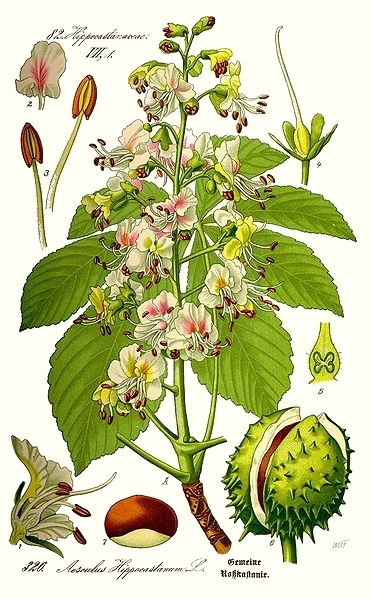 And, if you want pictures of the whole plant, you will need to look in another reference or log onto the internet. This book appears to be for the more advanced “herbie”. Although, it could be one of those books that you grow into. Both are references books, both display the voices of the authors and both go well with a cup of tea. 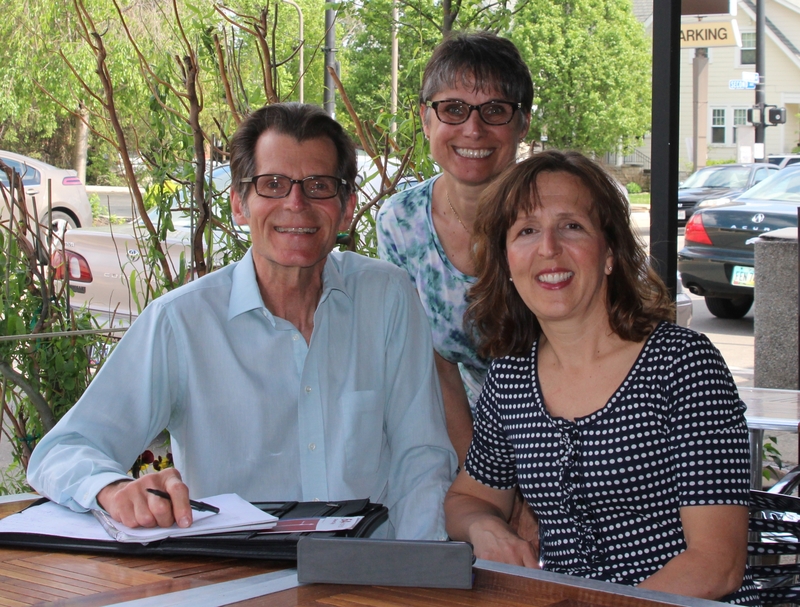 On Saturday, tune the radio (WTVN in Columbus or WKRC in Cincinnati) to hear Deb Knapke on In the Garden with Ron Wilson. 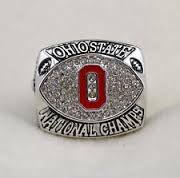 She’ll be sharing ideas for planting scarlet and gray gardens in celebration of The Ohio State University’s football championship. Will it be Red Riding Hood tulip and red fernleaf peony with White Nancy lamium? Maybe royal catchfly and Little Devil ninebark with Silver Brocade Artemisia. Of perhaps for fall, Fire Spire American hornbeam and lavender and deep red snapdragons. And, of course a red buckeye,too. Go Deb, and go Bucks!! Michael Leach is pulling together a stellar line-up of speakers and programs for The Columbus Dispatch Home & Garden Show at the Ohio Expo Center . For the past several years he has brought in a range of experts to help visitors gain a better understanding of the world of home gardening and landscaping. Educational programs range from sustainable landscaping to fairy gardens. He and Fred Hower, The Ohio Nurseryman, will be leading tours of the show gardens to discuss landscape design basics. The show opens Valentine’s Day and runs through Feb. 22. 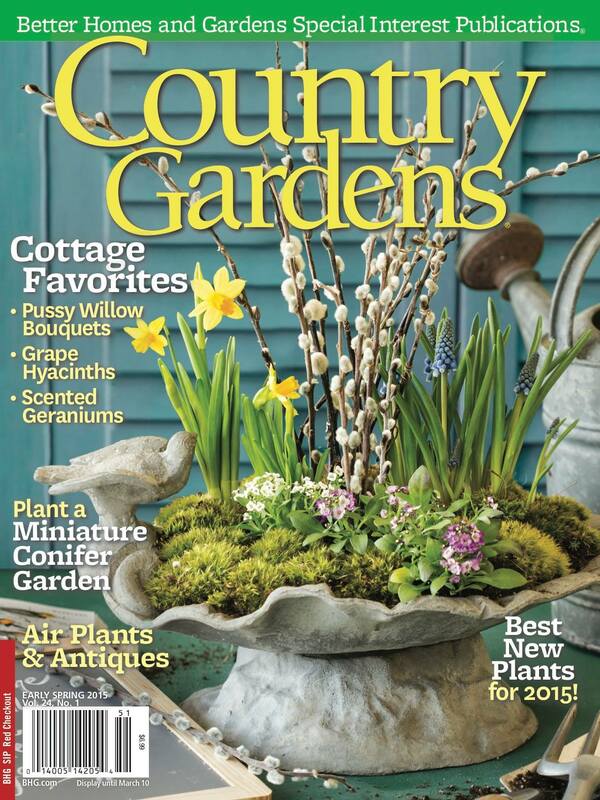 Check out Teresa Woodard’s latest article in the newest issue of Country Gardens Magazine. She shares a story on Tom and Carol Plank’s enchanting conifer garden near German Village and a how-to for growing miniature conifers in containers. She’s also helping Ohio Master Gardener Volunteers share their stories — from harvesting a vegetable garden at a juvenile detention center to new landscaping for a human trafficking rescue house. See the stories on the Ohio Master Gardener’s new website. Winter sun turns a snowy lawn into a giant geography map. At least it seems so to me. My imagination transforms the shadow of a gnarly old tree into the Nile Delta. On the flip side, it could be the tributaries of the Mississippi River. 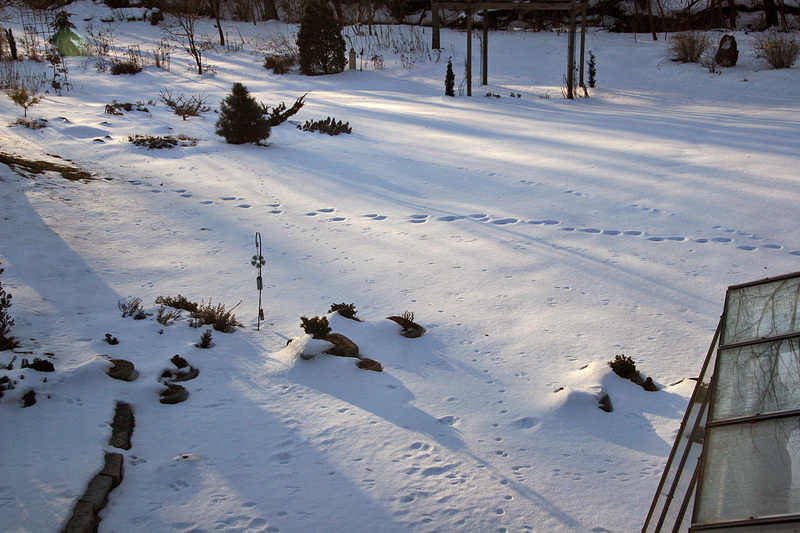 Sometimes I imagine the snow is a sea dotted with islands (footprints). Sled tracks suggest railway lines running hither, thither. Those pale blue shadows of shrubs, poles, fences and more on a brilliant sunny day make an abstract pastel watercolor sliding silently, imperceptibly across the whiteness. And on a full-moon night comes a jaw-dropping view from the bedroom window upstairs. Deltas, islands, roadways, all faintly visible in the silvery glow. Is cabin fever getting the best of me? Is it time for a change of scenery? Possibly, but I prefer thinking of this coping tactic as a way of making winter — my least favorite season — a more pleasant time. These and other little mind games help me look forward to more than the rest that dormancy and bitter weather force me to accept. Perhaps you, too, find reasons to welcome winter. Because winter sun is rare in my part of the Midwest, any appearance is cause for excitement. Tree leaves, not to mention frequent haze, obscure sunrise and sunset in summer, when the sun is taken for granted and sometimes cursed. In barren winter, things are different. The first sliver of orange disk can be seen through distant trees as I gaze from that bedroom window, a mug of steaming coffee in hand. Some evenings, depending on weather, I walk in a nearby park, one on the edge of open farm fields. The sun reverses itself. 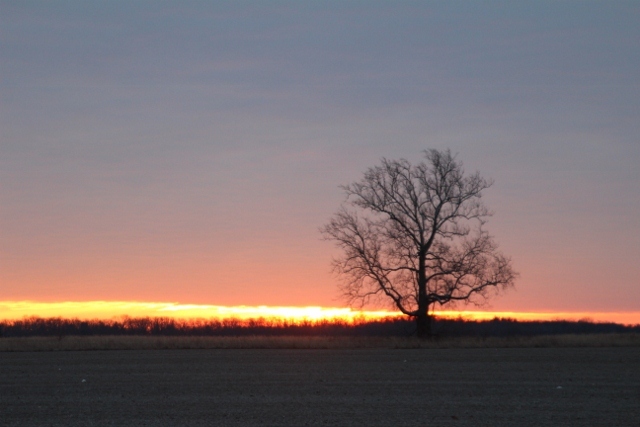 Sliding silently behind bare trees on the horizon, the sun ripens into an ever-larger orange oval. For a moment or two, the distant woods seem to be aflame. Then only an ebbing campfire burns before the sky darkens. 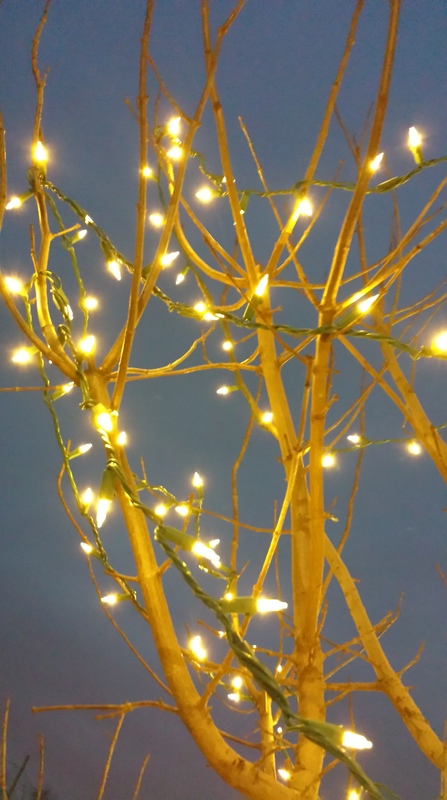 Because cloudy skies are the norm, I decided to “celebrate” winter a few years ago by stringing white Christmas lights on a volunteer cedar I see from the kitchen sink window. Suddenly winter sparkled with a festive air. The little tree is especially handsome mantled with snow. A greeting card I send to myself. Welcome to the new year and what’s promising to be a bright one for gardeners! According to the Greenhouse Grower’s 2015 State of the Industry Survey, 71 percent of growers report 2014 sales increases over 2013, and that sales growth is spurring optimism for 2015, with 73 percent of growers saying they expect to increase production volume for the coming season. · New gardening faces: The garden industry is welcoming two growing population segments – the Millennials (ages 18-35 years) and Hispanics. Young men especially are outspending other garden consumers by more than $100 each year. 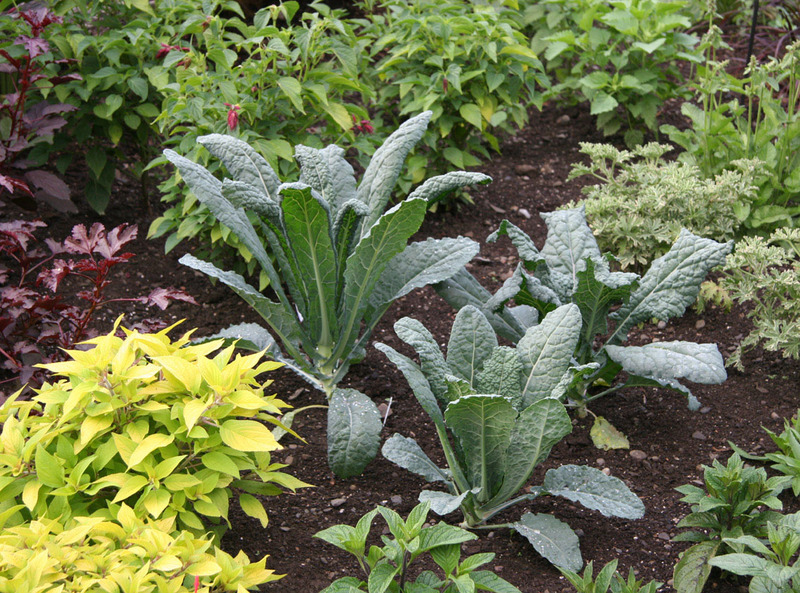 · Healthful motives: Gardeners are no longer planting just for beauty. Today, they’re gardening for the stress-relief benefits and nutrient-packed crops like blueberries and kale. 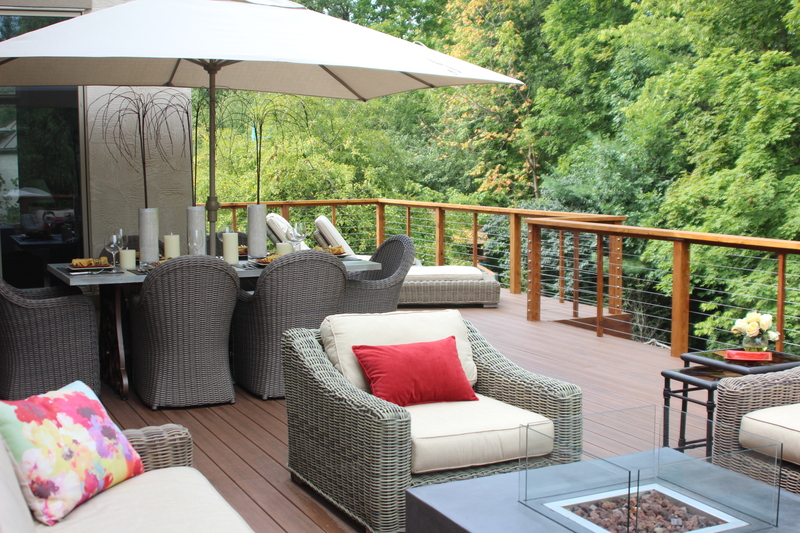 · Garden-Tainment: Homeowners are expected to spend $7 billion on outdoor décor as they enjoy cooking, dining and entertaining in their outdoor spaces. · Compact gardening: Gardeners are investing in jewel-box gardens as they select high-quality plants for their increasingly smaller spaces. In addition, container gardens remain strong as smart solutions for tight spaces and their portability. · Bed head style: Purposefully unstyled landscapes are gaining popularity as gardeners welcome a more naturalistic approach. 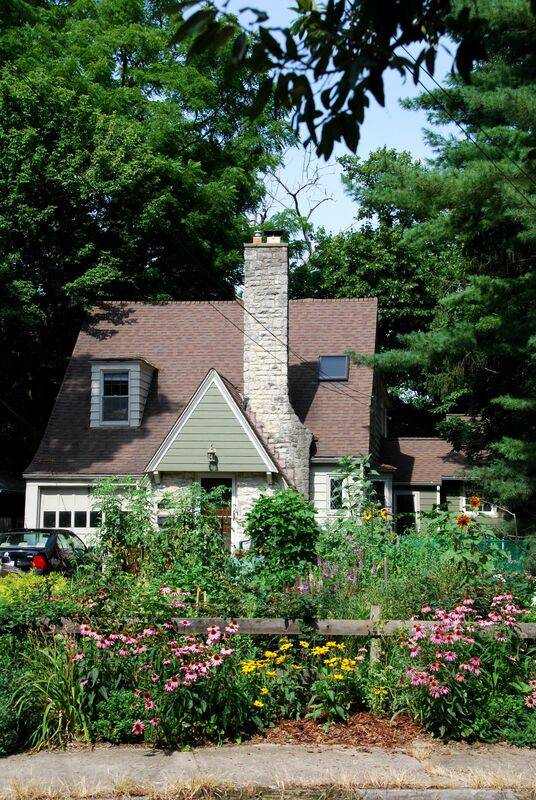 · RebelHoods: Residents are campaigning to reverse ordinances to transform their neighborhoods to more sustainable agri-hoods – complete with urban chickens, bee houses and lawn-less landscapes. This week, Columbus hosts one of the country’s biggest Landscape Industry Trade Shows — CENTS 2015 — on January 7-9th. 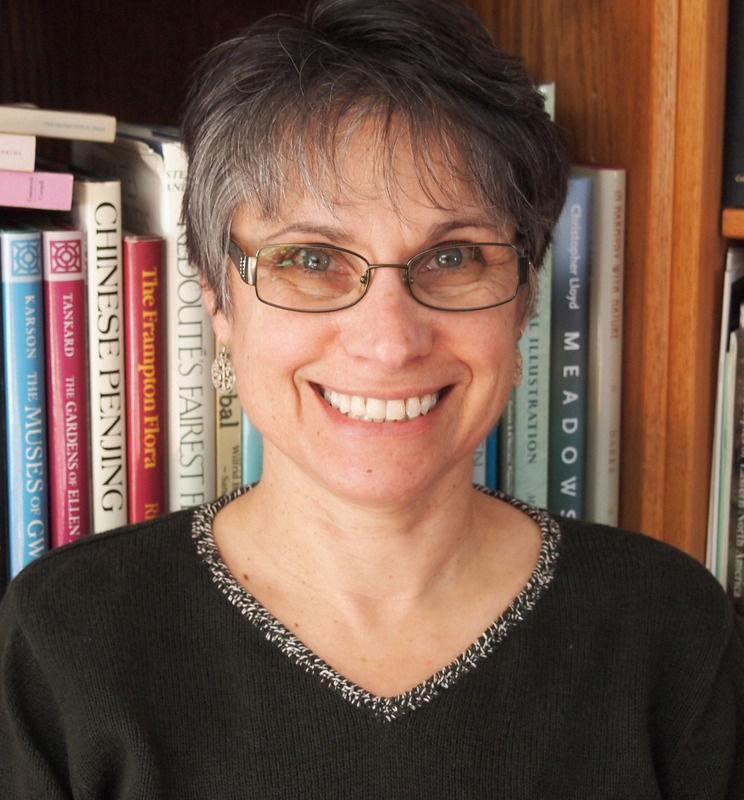 Debra Knapke will be presenting on two topics: Edible Ornamentals and Complementary Design: Embracing Nature Inside and Out. In the second one, she will share the stage with her daughter, Sarah Arevalo, an interior designer with Trinity Group in Westerville. Debra and Sarah will be weaving together the interior landscape and exterior landscape. For more information on registration and other presentations, check out the Ohio Nursery and Landscape Association’s (ONLA) conference website.